Forget to log out of your Google account! What next ? Everyone has Google account. And there is no reason, why not to have one. It’s needed to enjoy; Google based services like Play Store, Gmail, YouTube, Google Drive, etc. And it goes without saying that, how important it’s to secure one’s Google account. It’s always a good to have a complex password, enable 2-step authentication and most importantly use the private browser while logging from someone else’s computer. However, no matter how careful you are, things not always go as you have planned. 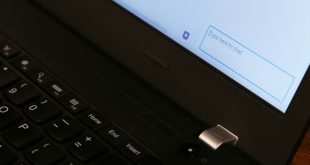 For instance, you may forget to log out of your Google account while accessing it from your friends’ computer or sometimes a friend of your might use your computer, while your Google account is still logged in. So, if you ever find yourself in such situation then what should you do? Well, first of all, don’t panic, because Google is smart enough to visualize such situation. And you would be glad to know that, there is simple workaround to remotely log out of every Google account. This is useful in a situation when you have the login to your Gmail from the public computer and forget to log out. To log out your Gmail, just log in to your Gmail account from any remote computer, scroll down to the bottom of the page. And on the right side, you will see Last login activity. Click on the link which says details, underneath the recent login activity. 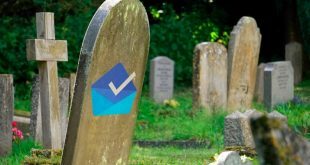 From here you will see a list of all latest Gmail session with date/time and location metric, if you suspect any unusual activity, then click on Sign out all other sessions. Let say, you want to get rid of all logged-in Google account, then the best approach is to; change your Google password. This will make all existing logged-in password invalid and ultimately it will log you out of every Google account. You can either click on this link to change the password or manually do it by going to your Google account setting > signing in the > password. The above method is useful when you want to quickly log out of all Google account. But later, you will have to go through the trouble of logging back to all the devices one by one. Therefore above method is not useful, when you just want to log out from a particular device. For instance when your friend is using your android/computer where your Google account is still signed in, then the following method is useful. In such situation, you can remotely log out of a particular device from Google’s device security. To do this, click on this link. 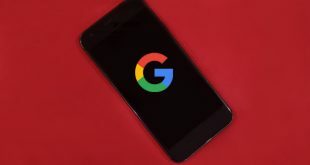 It will list all the Google services like Chrome, Android, or Apps that are logged in to your Google account. Now let say, you want to logout from your Android, so simply select your Android device from the list and click on revoke access option. As simple as that. If you have multiple computers at your home, all signed with same Google account; then you can use chrome remote desktop. It’s a super powerful Chrome extension that enable you, to remotely access another computer through Chrome browser. In this way, you can easily check if someone is misusing your computer or not.